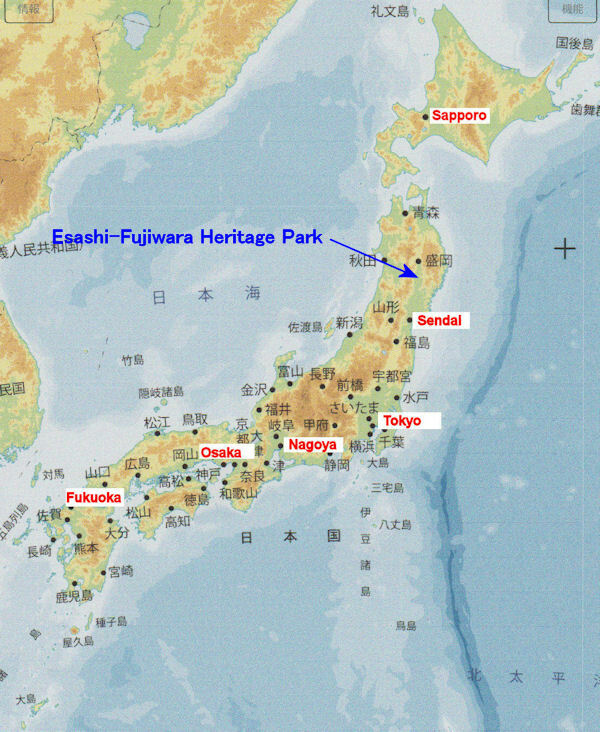 The historical park "Esashi-Fujiwara Heritage Park" is located near World Cultural Heritage “Hiraizumi”. It is a theme park that you can experience the history of Tohoku from ancient times to the middle ages. In the garden of about 20 hectares, there are more than 120 buildings based on historical research. It has been used as the location for many TV dramas and movies. Various events are taking place and the gold panning experience is held during the summer festival.